The accolades bestowed upon producer James Yancey both before and after his tragic death in February 2006 are countless. From his forming of Slum Village at age 14 to the posthumously released beats of today, Yancey’s productions on albums such as Donuts, The Shining, and Welcome 2 Detroit have moved heads the world over for years. The depth of Dilla’s legacy, both with his own group and for others, is incomparable. Throughout his career, the producer has worked with nearly every major emcee in hip-hop, including Common, The Roots, De La Soul and The Pharcyde, and it’s this work for other emcees that gets the treatment on Dillanthology Volume 1. This is the first in a series of planned albums focusing on different aspects of the illustrious producer’s career. In the coming months, look for separate volumes for both his remix work and production on his own projects. For now, though, Rapster is honored to present Volume 1, featuring 13 tracks of Dilla’s best work. The compilation is as sonically far-reaching as it is classic, ranging from the jazzy cool of The Roots’ “Dynamite” to the sultry, Latin feel of Erykah Badu’s “Didn’t Cha Know” to the futuristic squelches of A.G.’s “Hip Hop Quotable.” Above all, though, Jay Dee made his impression on hip-hop with his inimitable take on the souled-out side of hip-hop; the side that compelled you to lie on the couch and just…listen. With Dilla, there was no such thing as a “standard beat.” Each production was a mini-masterpiece filled with curves but avoiding any sense of gimmickry. Whether it’s turning Stan Getz’s bossa-laced “Saudade Vem Correndo” into The Pharcyde’s “Drop,” or jazz pianist Ahmad Jamal’s “Swahililand” into De La Soul’s high-energy commentary on hip-hop “Stakes is High,” Dilla’s expertise made even the most ubiquitous of samples unrecognizable. In the liner notes for Things Fall Apart, the 1999 Roots album featuring “Dynamite,” ?uestlove calls Slum Village “one of the most creative crews to ever enter into the world of Hip Hop.” Few would disagree. 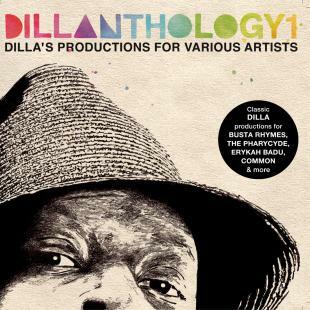 With so much material to pick from, Dillanthology Volume 1 is admittedly a fraction of the amazing music created by Dilla. Yet in these tracks, one can hear the full range of talent from a musician taken long before his time yet who left us with so much.